I recently had an exchange with a fellow activist about what kind of books I’ve read that are useful from a practical political standpoint. I mentioned that, despite studying political science when I was in college, political science doesn’t teach much of practical value. 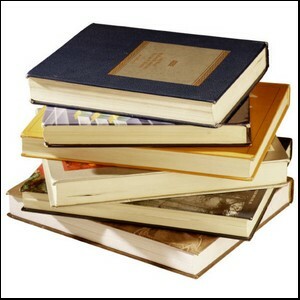 Besides actual experience (and experienced friends to work with), books are the most useful tool to learn what you need to know to have a greater impact on things you care about. And since many of us are doing some Christmas shopping and trying to come up with some good gift ideas, why not give actual “ideas” – as in books. Specifically, books that would be useful to a fellow (or budding) conservative activist, (or maybe for your own reading, or just to annoy that liberal relative we all seem to have). His answer? “You need to read Sun Tzu’s “The Art of War”, “The Prince”, “On War” by Clausewitz and the biography of Huey Long by T. Harry Williams” I felt kind of puffed up since I had already read “Art of War” 3 times at that point and I told him. He said, “You need to read it about 10 more times”. The point is that you never stop learning, and there are some books which teach or illustrate practical political principles that conservatives can apply as they try to have a greater impact on the things they care about. So with that, here’s a list of suggested books for political conservatives (with links to my own Amazon.com “store” of course). “The Art of War” (Sun Tzu) was written over 2,000 years ago as a manual of military strategy, but most military principles apply to politics, business and pretty much anything else where people are involved. It’s short, easy to read, but full of wisdom. “The Prince” (Machiavelli) is probably the most famous book on politics that has ever been written, and it offers practical political principles covering everything from gaining power and using power, to keeping power. “On War” (Clausewitz) offers more on military strategy, the nature of conflict and how success can be achieved. “Huey Long” (T. Harry Williams) is a biography of the former Governor and Senator from Louisiana in the 1930’s. It’s a bit long, but if you like bios, it’s very good and entertaining. Lee said it was a great example of the “use” of political power. “The Art of Political War” (David Horowitz), covers most of the basic principles of conservative political strategy and messaging. “The Starfish and the Spider” (Brafman & Beckstrom) is a fantastic look at how independent action of decentralized organizations can displace preexisting “incumbents”…allowing people/consumers to organize on their own and have an impact. It emphasizes how the Internet has leveraged this ability. The Tea Party is a perfect example of the principles in this book. “Tribes” (Seth Godin) is all about building “tribes” of people who think alike or share certain affinities, and the power they can have when they work together. Pretty much anything by Seth Godin is good marketing material, but this one has clear political applications and in my mind makes a good companion to “Starfish”. “Rules for Radicals” (Saul Alinsky) gives you a look into the mind of our opponents. Yes, this one was written by an avowed leftist, but that doesn’t mean that there’s nothing to learn here in terms of practical politics. And it can certainly give you a better understanding of the tactics of the left. “Nixon’s Ten Commandments of Leadership & Negotiation” (Humes) I’ve enjoyed a lot of Nixon’s books, but this one is based on ten principles he kept on a note-card in his desk and it’s very insightful and practical. 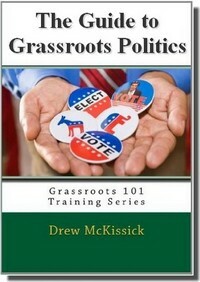 Of course I have to add my own contributions: “The Grassroots 101 Training Series“, (with 3 levels, from “beginner” all the way to “advanced”), and “How to Plan a Winning Campaign“ (if you, or someone you know is planning to take the political plunge). 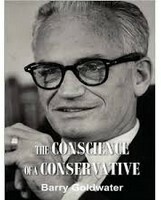 “Conscious of a Conservative” (Barry Goldwater) is not heavy lifting for a newbie, but gives an easy to understand, solid layout of bedrock conservative principles. A great place to start (or revisit). “God and Man at Yale” (William Buckley) is an indictment of liberal academic orthodoxy that is even more relevant today. It would be especially interesting to young conservatives, given Buckley wrote it when he was just 25 years old. “The Road to Serfdom” (Hayek) is a defense of free markets and libertarian individualism, and a warning against government control and central planning, (a timely read, given the path of our government). “Capitalism and Freedom” (Friedman) is a book by the Nobel Prize winning economist and one of the strongest proponents of freedom in the modern conservative era. “The Liberty Amendments” (Mark Levin) is a timely work that highlights Levin’s thoughts on several suggested Constitutional Amendments and why they’re desperately needed, many representing philosophical/political/fiscal fights we will either have now or later. Like American history? “American Afire” (Weisberger) is a great recounting of the first contested presidential election in American history, between Thomas Jefferson and John Adams. It gives a you a good look at the roots of not only some of our present political fights, but even the political “machinery” we use today. “Rush Revere and the Brave Pilgrims” (Rush Limbaugh) I haven’t read this one myself, but the reviews are excellent, and you could do much worse than give a kid a book that gives them a look at important elements of our nation’s history that their school’s history books breeze through or overlook entirely. If you have any other suggestions, please click here and add them to the comments section for others to see.